The outer layer of the element is a Pleated Mesh Screen, which acts as a re-enforcement. 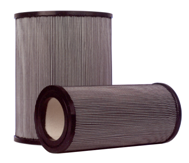 The Substrate is a spun bond polyester, which acts as a solid particulate filter layer (3 micron). 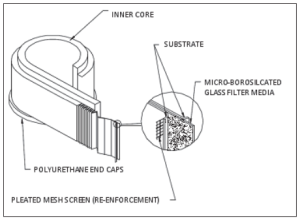 The Micro Borosilicate Glass is the coalescing filtration layer (3 micron absolute).